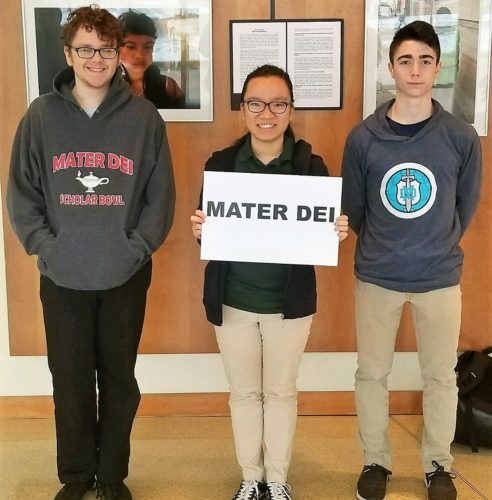 Senior Mai Khuc (center) earned first place in both mathematics and physics at the Worldwide Youth in Science and Engineering (WYSE) Academic Challenge Sectional held at McKendree University March 12. Mai will now compete at the WYSE Academic Challenge State Finals at the University of Illinois April 19. Also competing at the sectional were Jaden Meadows (left), who tested in English and mathematics, and Max Harad (right), who tested in biology and mathematics.